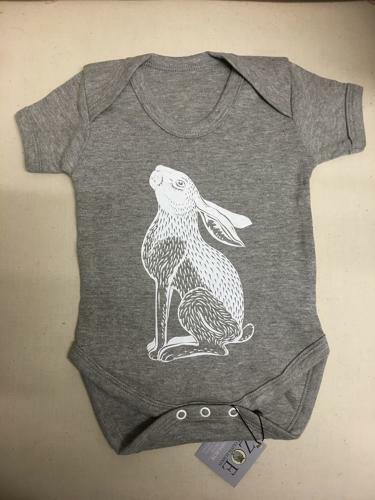 Moon gazing hare baby grows in grey marl by Zoe Olivia Elsdon. No scratchy neck or side labels - hand stamped logo instead. Available in sizes 0-3 months, 3-6 months, 6 - 12 months.